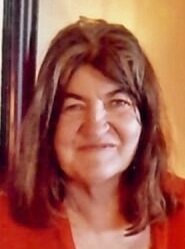 Marilyn Jean Ferguson, age 61, of Celina, passed away Sunday, April 7, 2019, in the Emergency Department at Mercer County Community Hospital in Coldwater. She was born January 21, 1958, in Mercer County, to Cletus Jr. & Imogene Lois ( Canary ) Menchhofer, who both preceded her in death. Marilyn and Rex A. Ferguson were married on April 12, 1975. He survives, along with their three children: Michelle ( Rob ) Behm, Mike ( Jill ) Ferguson, and Ryan Ferguson, all of Celina, and four grandsons: Will & Andrew Behm and Marcus & Jack Ferguson. Also surviving are four brothers & sisters: Doug ( Sheila ) Menchhofer of Celina, Shirley ( Dennis ) Kunk of Celina, Richard Menchhofer of Coldwater, and Brenda Menchhofer of Celina, and brothers & sisters-in-law: Becky Rasawehr of Celina, Max ( Joy ) Ferguson of Celina, Deborah ( Tom ) Smalley of Celina, Mary Jo ( Steve ) Muhlenkamp of Portland, IN, Peggy ( Mike ) Stroh of Wapakoneta, and James Heffner of Celina. Marilyn was preceded in death by three brothers: Dennis Menchhofer and twins Donald & Ronald Menchhofer, a sister-in-law, Beverly Heffner, and a brother-in-law, Kenneth Rasawehr. Marilyn attended Celina High School. She was a homemaker, and helped on the family farm. She particularly enjoyed taking care of the farm animals. Marilyn loved working outdoors, mowing and gardening, and had a green thumb. Private Family Services are planned, with Rev. Mark Wakeland, officiating. Burial will be at Swamp College Cemetery, Celina. Memorial Contributions may be made to Mt. Carmel Church of God, Celina.